MOSCOW — Venezuela signed a debt restructuring deal with major creditor Russia on Wednesday, as ratings agencies declared Caracas in partial default. The country is seeking to restructure its foreign debts, estimated at around US$150 billion, after it was hit hard by tumbling oil prices and American sanctions. Under the agreement, Caracas will pay back its debts over 10 years, with "minimal" reimbursements for the first six years, Russia’s foreign ministry said in a statement. "The reduction of the burden of debt... will allow the utilisation of funds to develop the country’s economy, improve the debtor’s solvency and increase the chances of all creditors recovering loans already made," according to the statement on the ministry’s website. "These are very favourable terms that Venezuela can honour. 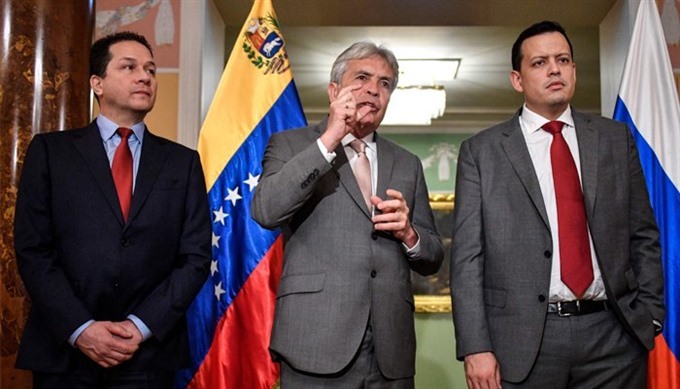 This deal strengthens the relations between our two countries," Venezuelan vice president for the economy Wilmar Castro Soteldo told a press conference in Moscow. But the goal of solvency seemed a distant one on Wednesday after S&P Global Ratings said it had placed Venezuela’s state-owned oil company PDVSA in "selective default" for failing to make interest payments on some of its debt.